The Livermore Valley is one of the East Bay's best kept secrets. There are a multitude of award-winning wineries, stunning vistas, and great weather from spring to fall. 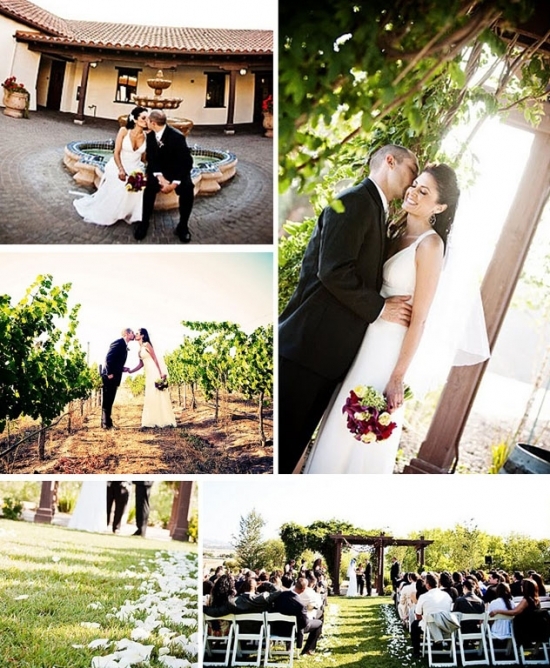 It's the perfect setting for the contemporary couple looking to bask in the glow of a wine country wedding. The Martinelli Event Center sits high atop a vine-covered hill, acting as the welcoming center for visitors to this burgeoning wine region. The cobblestone courtyard and outdoor fireplace offer your guests a warm greeting as they pass under the area. It is the perfect welcoming point for your guests as they pass under the traditional bell tower. More to come! !